1.75mm, 3d printing, 3D printing filaments, consumables, eSUN, filaments, pla/pha, pla/pha filaments, spools. 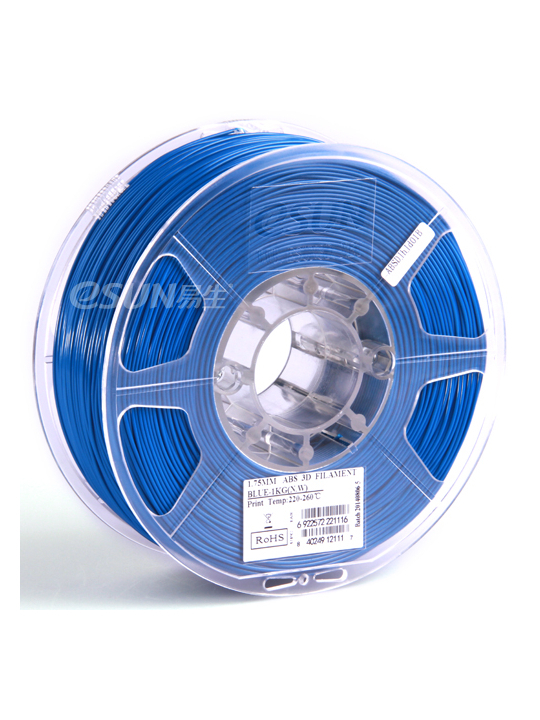 eSUN Filament 1.75 mm PLA Blue for 3D printers, suitable for the prints of every day. It’s made in PLA (polylactic acid), that is one of the most used for 3D printing. This material it’s of plant origin, it’s not harmful or toxic and it’s environmentally friendly. Its processing temperature can vary between 190 and 220 Celsius degrees. This eSUN Filament 1.75 mm PLA Blue has an excellent resistance and it has a very low shrinkage. This filaments are compatible with printers like Makerbot, Reprap, Fino, Flashforge, Ultimaker, Printrbot and all the 3D printers that use tecnhology like Fused Deposition Modelin (FDM). PLA tends to deform less than ABS and this allow to print without the need to use an overheated shelf.